So, this colleague of mine and me were heading out for a fruit juice break as we had skipped lunch due to a very heavy breakfast. While walking towards Pazhamudhir on North Boag Road, we saw this Amdavadi - Gujarati Snack House and after giving each other a glance, we walked in. We saw a small pharmacy and a man gestured us inside and we realised that we were in the wrong building. We finally opened our mouth and asked for Amdavadi and he showed us the way, laughing. I could not have imagined such a nice looking restaurant there. No signs, I remember reading about it sometime, somewhere, but you can easily miss this place, if you don't know where it is. Since we were not very hungry, we asked for one sweet dhokla and one peas kachori, both priced at Rs 80 each. 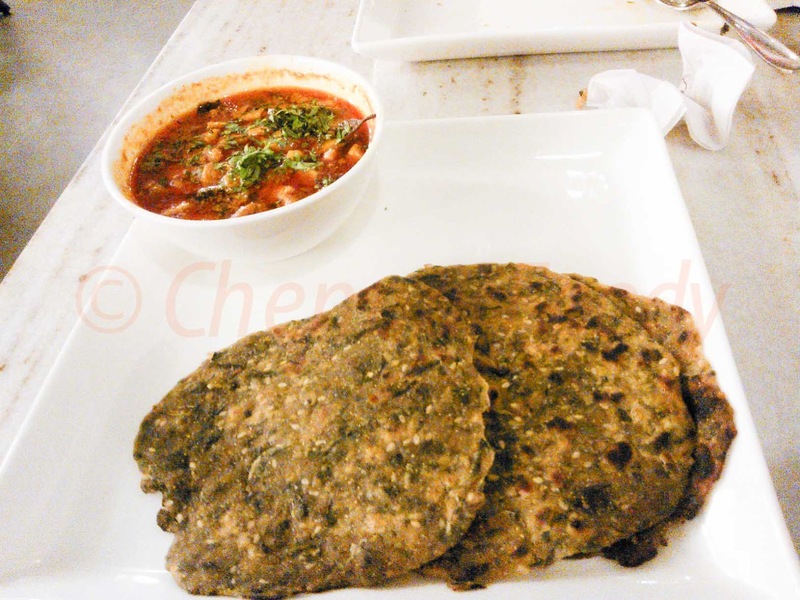 The menu is quite limited and the starters are priced between Rs 60 and 90 and the main courses are priced between Rs 90 and 100, while the desserts are priced similarly. 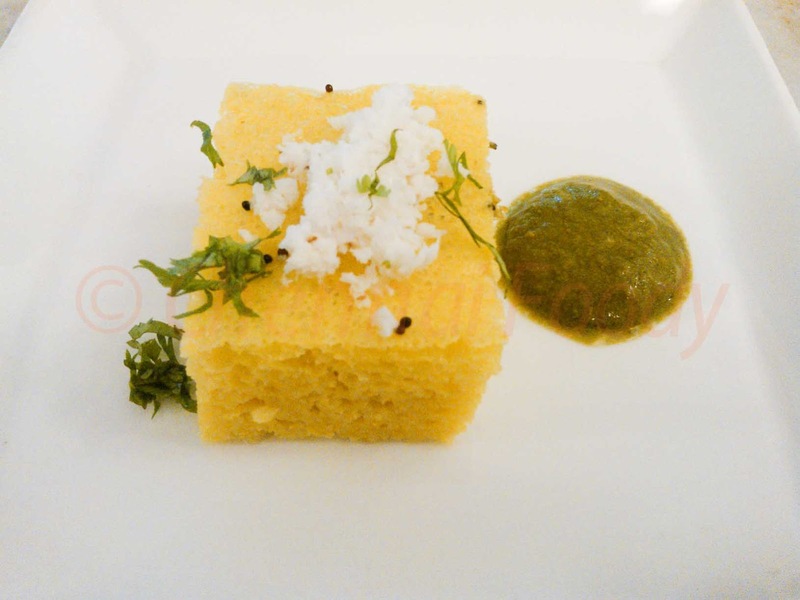 The dhokla was super soft and quite tasty. 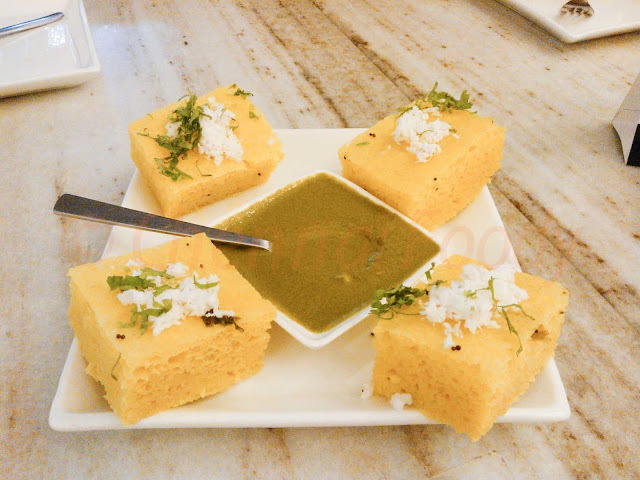 My colleague raved and raved about it and said that even if you pay, you don't get such lovely dhoklas and he went to a flashback and narrated about dhoklas in Delhi! 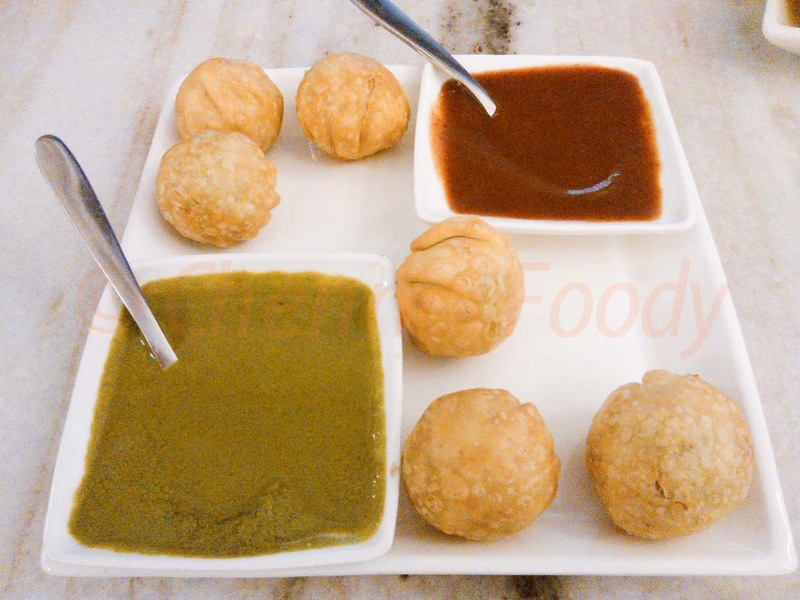 I thought it was quite nice too and the kachoris came - yes kachoris as they served 6 small kachoris with a very nice peas stuffing and we both really liked it. The total bill was Rs 183, no service charge, just VAT. Fast forward to one day later. My other colleague and me were hungry by about 9 PM as we were working late and I told him about this experience and he immediately wanted to try this place out. 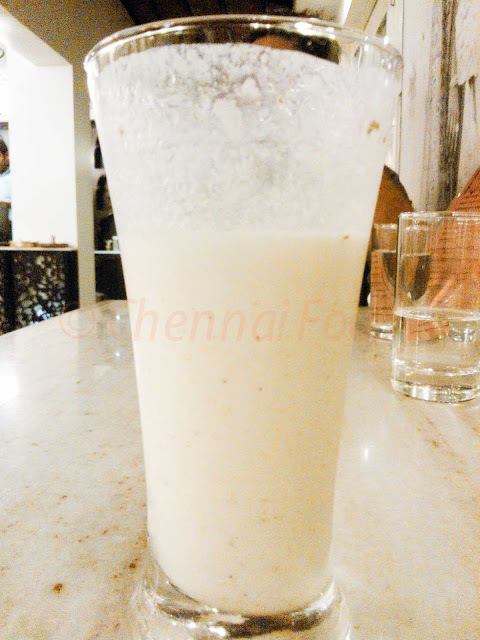 We ordered two chaas and I thought it was the best buttermilk I have had in Chennai - perfectly chilled, perfectly spiced and tasted excellent. 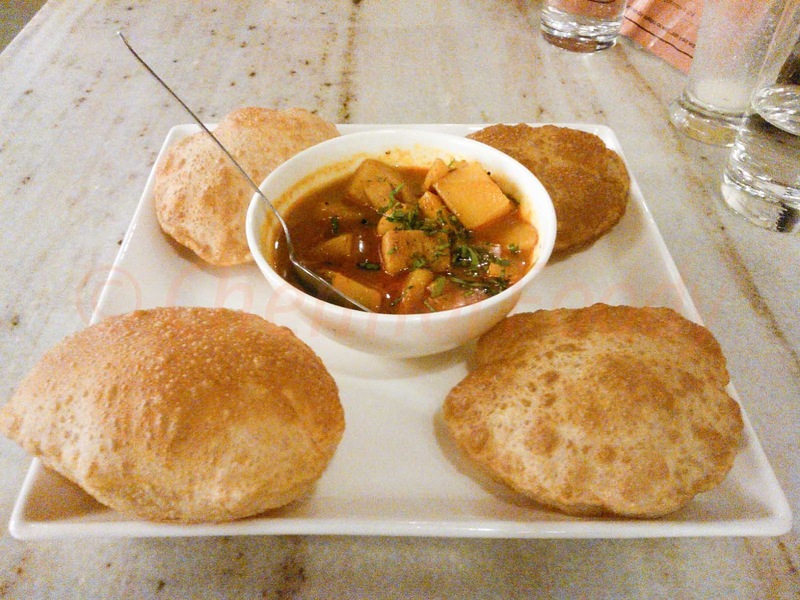 He asked for puri and potato and I asked for fenugreek chappati with guava gravy, both priced at Rs. 100, each. He did not like the potato gravy at all. "It is sweet," he said. "Everything in Gujarat is sweet," I said. He took one bite of my fenugreek chappati and almost spat it out, but I thought it was quite good with the gravy and after packing a portion of dhokla for home, the bill was Rs 388! So, I guess, if you are a pure South Indian, you won't like this place as much as I did. If you like Gujarati food, then you might like it as much as my first colleague liked it! Whoever you are, this place is worth a shot. Next to Pazhamudhir, on North Boag Road, T. Nagar, you will see a small pathway with the board Amdavadi on the outside. Chennai Foody: Amdavadi, Gujarati Snack House.